Hertz Furniture will be closed from April 22nd through April 26th for religious observance. Orders submitted after 12:00pm (Eastern) on April 18th will be processed when we reopen on April 29th. We apologize for the inconvenience and thank you for your business. Plan. We find the right furniture for your space and budget. Design. 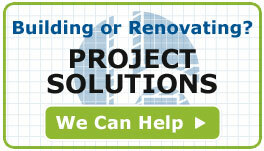 We offer design choices based on your requirements. Succeed. Your vision becomes reality. On Time and on budget. Thank you Hertz Furniture for your outstanding service and quality products. We have ordered many pieces of furniture for our school music department, and have found them to be attractive and well built. We will continue to do business with this fine company. Thank you for your fast and friendly service! The people at Hertz were extremely helpful. They went above and beyond in helping find the answers to my questions before I made my purchase as well as during my wait for its arrival. I am very pleased with my purchase and experience with this company. I would recommend Hertz to others without hesitation. We have been a customer of Hertz Furniture for over 10 years and love their quality products. You will love their high quality products and GREAT customer service. I highly recommend them. I would like to "Thank You" for personally coming in and overseeing the furniture delivery for Lady Bird Johnson M.S. You went above and beyond to ensure that all of our needs were met. I appreciated the professionalism that you showed inspecting the furniture. I also wanted to thank all the installers for their hard work and professionalism. We are very pleased with the entire furniture project from Hertz Furniture. I have worked with a number of vendors over the years and was thrilled with the level of customer service provided by Hertz and specifically Adam Gouge. Having him onsite during the install was fantastic and I hope to have a chance to work with him again. Thank you Adam for expeditious and professional resolution of the issue. It was a pleasure to deal with Hertz Furniture and I hope our relationship will continue for mutual benefits. I want to take a moment to give some positive feedback on your live chat agent Sarah T. After a frustrating afternoon of searching for a table that should be easy to find, I stumbled upon one on your website. It wasn't what I needed so I almost left and then Sarah popped on and helped me. Hertz impressed us with the quality of their products and dedication to customer service. Throughout the process of working with us, what I appreciated most was the realistic but optimistic “we can get it done” attitude.This is an unprecedented level of service, one that I have not received with other vendors, furniture or otherwise. I would like to personally thank you for helping me find such a great desk chair. In the 25 years that I have been here, I have not experienced such quick and reliable assistance when ordering. I absolutely love this chair and am also very grateful for your help. Again, thank you and I hope to work with you again in the near future. I have been doing business with Aviva at Hertz Furniture since 1999. Aviva will give you personal treatment, whether you are buying a little or a lot. I have not found anyone who can match Hertz's prices. Hertz's price can't be beat and the quality is excellent. The wheelchair accessible table was delivered on time and was easy to assemble. My friend LOVES it. He can now work on his laptop and see the screen at his eye level. The table also helps him eat his meals without food falling. The cut-out portion of the table fits around his scooter chair. I ordered five of the hardwood 18" stools from Hertz Furniture. What better idea than sturdy stools that are made to endure the abuse of school children? These five stools were one of my very best furniture investments. They are so solid and well-made that when the time comes, the next generation will be fighting over who gets them. We are all so pleased at having used Hertz as the furniture supplier for our renovation project. Your quality is impressive, but where you really separated yourselves out is with your service. It was a large job, and I was pretty nervous but your entire team took the stress away. I would recommend Hertz to anyone. We make sure your order and delivery go as smooth as possible. Have a question? Call, chat or find your answers here. Complimentary turn-key design, project management, & logistical services so you can focus on other important parts of your job. 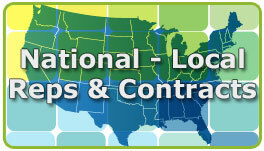 Use our map to find your local sales rep and the contracts we've secured to save you time and money. Hertz Furniture offers the highest quality commercial, religious and school furniture, as well as the finest customer care and service. Whether you're building a new school, upgrading your classroom, transforming your office or enhancing your sanctuary, Hertz Furniture offers a wide selection of products and services, including a large variety of eco-friendly furniture, at prices to meet any budget. Need help finding specific products? Have limited financial resources? Contact our furniture experts, available by phone or by chat, who will be happy to locate the exact items you need and prepare a financing program to fit your budget. Hertz Furniture is your source for school furniture, church furniture and office furniture because you come first — we guarantee it! School Furniture. Our collection of school furniture includes school desks, school chairs, music and library furniture for all ages from preschool to K–12 to university, including specialty furniture for art, computer and science labs. To round out our selection, we carry a full range of folding tables, folding chairs and school lockers. Church Furniture. Religious institutions will find an impressive array of chairs for all purposes and occasions, as well as pulpit furniture, sanctuary furniture,church podiums, choral stages, risers, and pew ends. Office & Reception Furniture. Our complete line of office and reception furniture runs the gamut from contemporary to traditional, including office desks, office chairs, computer tables, conference tables and furniture for your reception area, your executive office and your conference room. To round it out, we also carry a full range of folding tables, folding chairs, cafeteria furniture and storage lockers. Need help finding a specific product? Have limited financial resources? Contact our furniture specialists, available by phone or by chat, who will be happy to locate the exact items you need and help with a financing program to fit every budget and project. Regardless of project size, our Project Solutions team will assist you with office and classroom planning, design and implementation challenges, at no expense. Turn to Project Solutions when you need furniture and space planning, project resources, as well as installation information.